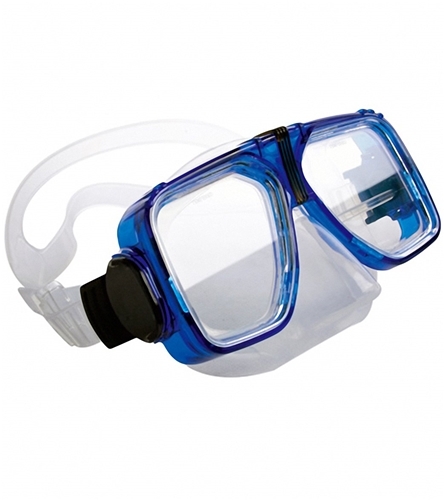 Have a question about the Scuba Max Navigator Two Window Mask? This popular two-lens silicone mask features our most complete color selection and versatility. It is one of few masks that have the best fit for most faces. I have both prescription and non-prescription versions of this mask for myself, and have just bought another for my teenage son. This mask fits both of us very well and is easy to adjust. on 3/14/2017 We are headed to St. Thomas in a few weeks and are looking for snorkeling gear. My wife is a novice and will most likely staying near the surface. I've snorkeled a good bit and will dive 10 - 15 feet deep. We don't get to go snorkeling that often...wanted some input on mask, snorkel and fins for my wife and I. Any input would be appreciated.